Cruise up to 16,500ft and soak up scenery of all 144 islands that make up the Bay of Islands. Reaching speeds of up to 200km per hour, experiencing the thrill of free fall is something you’ll never forget. 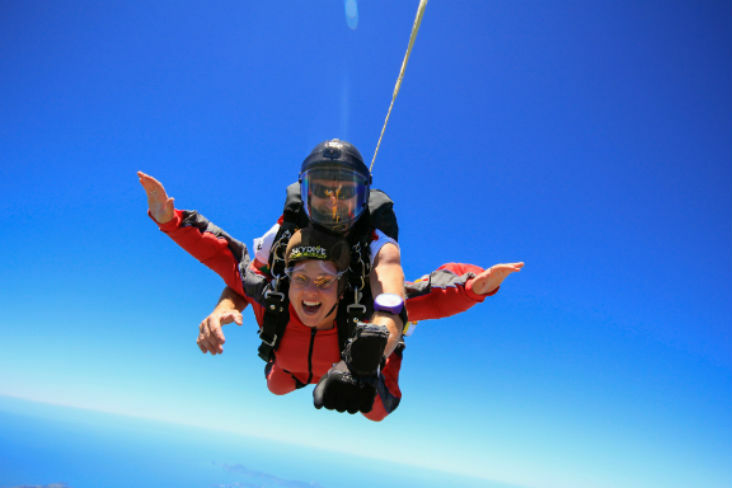 We fly up to 16,500ft – the highest skydive in the North Island! After an insane 70 seconds you’ll then float under canopy before landing. You’ll be buzzing long after your feet touch the ground. 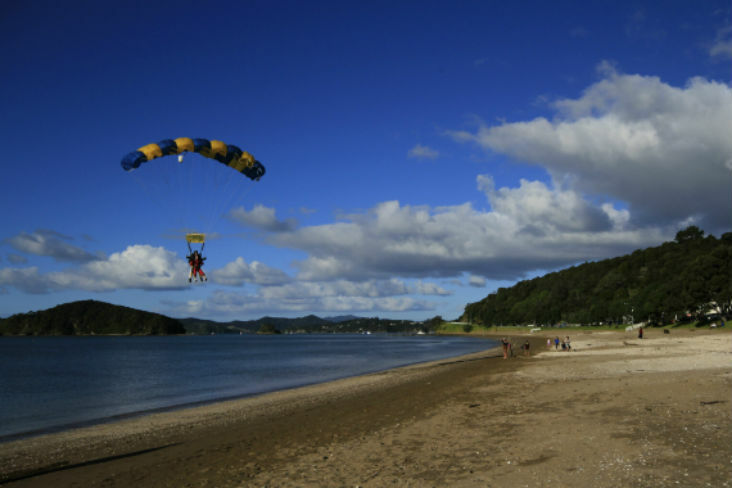 Skydive Bay of Islands is New Zealand’s number one destination for skydiving at the beach. So what are you waiting for? Tandem skydive with the best: the best islands views, the best location, and the best crew and instructors. Please note that all ages are welcome, but under 16 must have parental consent. 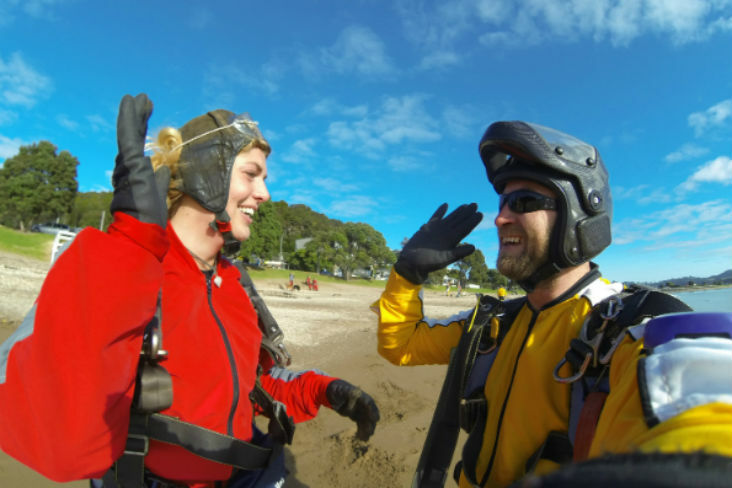 Come fly with the crew at Skydive Bay of Islands now!